Good Choice Reading: Amazon Contest / GoodReads Choice / Reading Rainbow! Amazon Contest / GoodReads Choice / Reading Rainbow! Starting January 14th, all you wanna-be-authors, get your pens ready!! 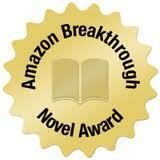 You can enter Amazon's Breakthrough Novel Award contest and enter in one of five categories - general fiction, mystery/thriller, romance, science fiction/fantasy/horror and young adult fiction. One finalist will be chosen in each category, and a Grand Prize winner will be selected by Amazon customers and receive a $50,000 advance. The remaining finalists will also receive a publishign contract with Amazon Publishing, and a $15,000 advance. 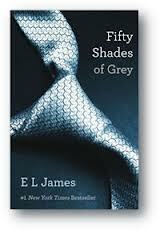 On December 4th, GoodReads announced the winners of their 2012 GoodReads Choice Awards. This year, they had more than 1.1 million votes for 400 nominated books across 20 categories - including: Best Fiction, Best Mystery & Thriller, Best Nonfiction, Best Young Adult fiction, and many more. Click here to read GoodReads' blog post about the winners. Click here to view the winners and runner-ups in all 20 categories. Merry Christmas Random House employees! Yesterday, December 7th, Random House, the publisher of Fifty Shades of Grey, announced at its holiday party last night that every American employee (thousands of them!) who has been with the company for a year, will be getting a $5,000 Christmas bonus! 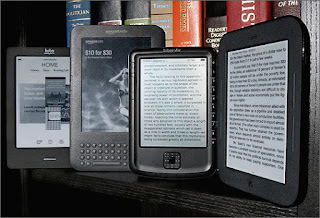 According to a study by the Electronic Frontier Foundation, most e-readers are tracking user's book searches, purchases and how even how they read their e-books. Then that information can be shared without your consent. Using data from Google Books, Amazon Kindle, Barnes & Noble Nook and Indiebound, the study found that "in nearly all cases, readings ebooks means giving up more privacy than browsing through a physical bookstore or library, or reading a paper book in your home." 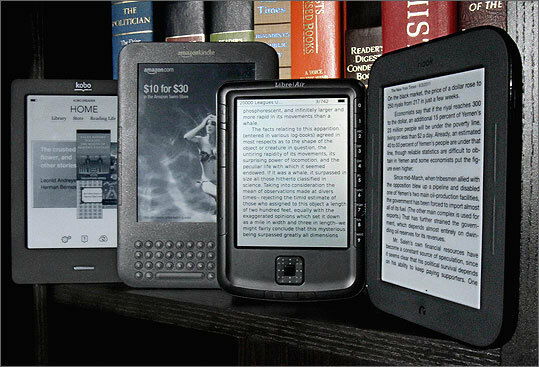 Six of the biggest e-readers out there: Kindle, Nook, Kobo, Sony, OverDrive and IndieBound can share customer information with third parties without customers' consent. * Enter Penguin's "Celebrate Love Stories Sweepstakes"
$5000 bonus! I love that Random House is sharing the wealth. And the ereader thing doesn't bother me at all. First, books I purchase and read are not private to me since anyone can look on my Goodreads page and find the same info. Second, I doubt there's anything sinister they can just that info - its probably for advertising purposes and I think that kind of thing goes on more than people realize. For example, did you know Target keeps track of every little item you buy? That's so they know to send you ads for baby stuff when you buy prenatal vitamins and unscented lotion, not ads for power tools or something. It seems somewhat efficient to me and doesn't bother me. But that's my two cents. Though I can't imagine what they do with info on how people read their ebooks. Don't most people read in page order? There are so many cool things in this post. Where do I start? When I read about things like the Amazon contest, it only motivates me to do more writing so that when the next thing rolls around I already have books ready to be submitted. The thing about e-readers tracking your purchases sort of angers me. I do have some books on mine that I transferred directly from my computer without downloading, and most of the books on there were free from the public domain. I love the Reading Rainbow video. I also love the Bob Ross & Mr. Rogers remixes.